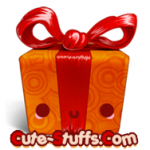 Hi Cute–Stuffers! We hope you all had a Merry Christmas and a nice little break, and here’s wishing everyone a Happy New Year too! Time to announce the winners…. December 30th, 2012 in Announcements, Contests & Giveaways, Updates, Winners : Comments Off on TREE CONTEST WINNERS 2012! I don’t know if anyone has noticed, but we’ve been on a slight Rilakkuma bender…We’ve had lots of cute items come in in the past few weeks, however… there’s more… Note: Comments will be invisible to save page loading time during the contest! 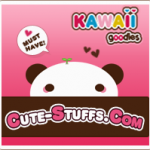 December 17th, 2011 in Announcements, Featured : Comments Off on Cute-Stuffs is Moving! & Deadline for guaranteed Christmas shipping ends Today! July 15th, 2011 in Announcements, Updates : Comments Off on We’re Back! 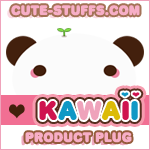 New features, new forum, new cuteness! Hi again Cute-Stuffers! We have some news! – Our Easter Giveaway is officially open for entry! We have some popular, and new prizes up for grabs this time and as usual, there are plenty of ways you can win…. April 14th, 2011 in Announcements, Featured : Comments Off on PLUG: Adorable Rare Baby Moc Moc Flashing Charms! 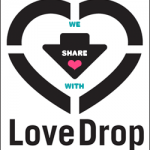 Love Drop – March 2011 – Katie! March 3rd, 2011 in Announcements, Featured, Love Drop : Comments Off on Love Drop – March 2011 – Katie! February 15th, 2011 in Announcements, Featured, Love Drop : Comments Off on Love Drop February 2011 – Ethan & Alex!